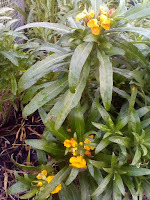 Cash and Carrots: Signs of life in the allotment! Signs of life in the allotment! Popped up to the allotment for a bit of a tidy up this afternoon, as - for a change - nice weather coincided with me not having to work or having other plans for a Sunday afternoon! 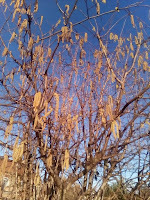 Anyway, there are signs of things stirring, though with snow forecast this week maybe they ought to un-stir for a bit! This was a surprise, wallflowers planted last year - biennial of course - but didn't expect them to be flowering so early in the year! 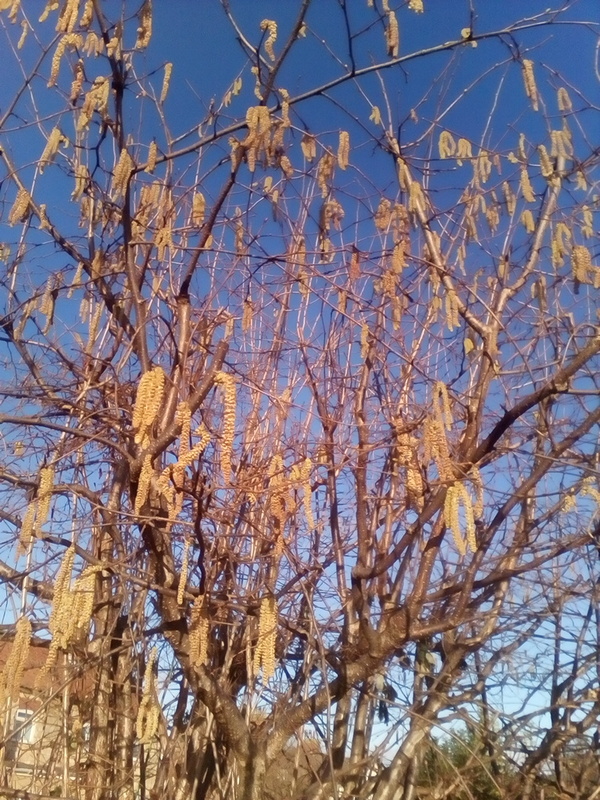 Should be a lovely display if the frost doesn't do for them. 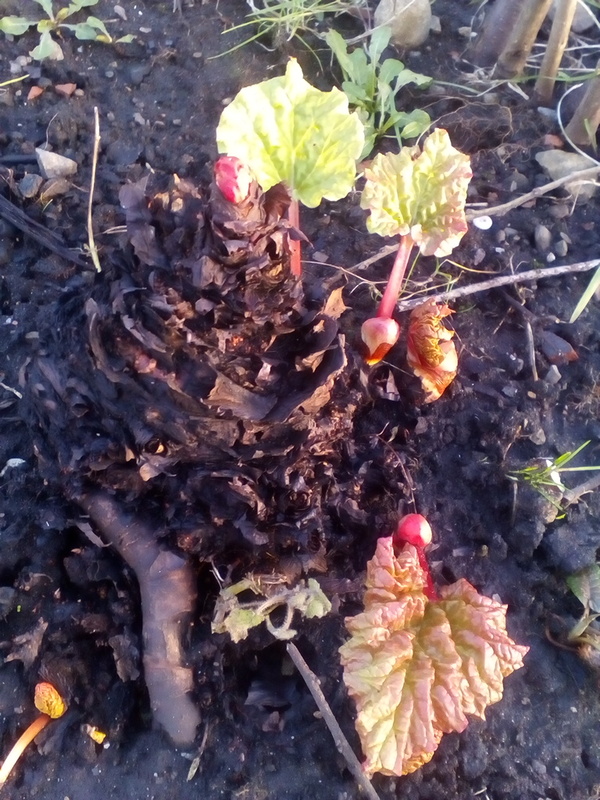 Rhubarb showing itself, Twitter today has had various pictures from gardeners showing rhubarb so maybe it is a coordinated sprouting across the country! Maybe not, just coincidence! But, this rhubarb was originally a offcut of a plant grown within the Rhubarb Triangle in West Yorkshire and so is pretty much the real thing as far as rhubarb growing goes! I once did a summer job on the farm (Oldroyd's Farm) that has been on TV and in the news for promoting rhubarb and getting the protected place of origin status for Yorkshire rhubarb.